191 Peachtree Tower is the fourth tallest skyscraper in Atlanta, Georgia. Standing in at 770 ft (235 m) and 50 stories, it is also among the tallest 200 buildings in the world. 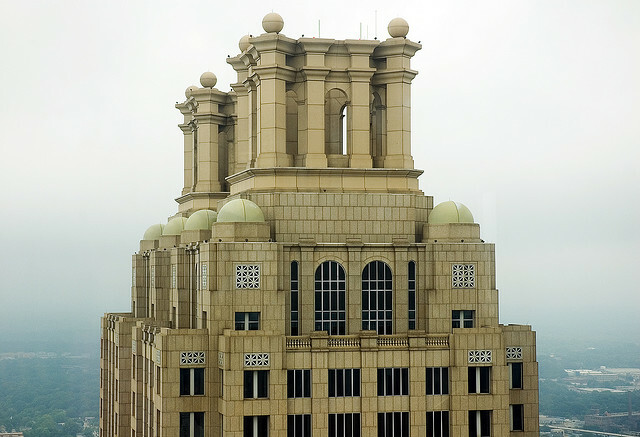 Designed by Johnson/Burgee Architects and Kendall/Heaton Associates Inc, the building was completed in 1990 and won BOMA Building of the Year Awards the next year, repeating in 1998 and 2003. Throughout the 1990s 191 Peachtree was considered Atlanta's premier business address. 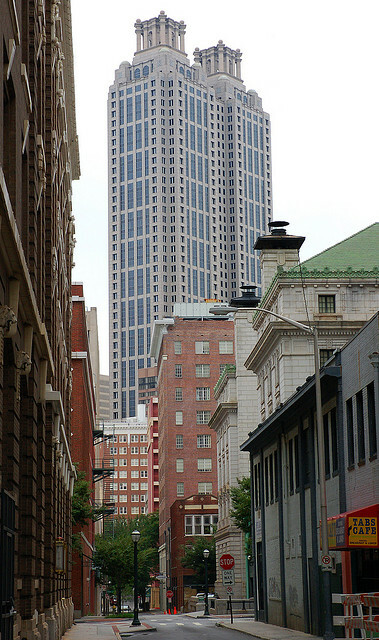 However when two of its largest tenants, law firm King & Spalding, and Wachovia moved to Midtown's new 1180 Peachtree and Atlantic Station respectively in 2006, most of the building was left vacant. That same year, Cousins Properties purchased the building from Equity Office Properties, which marked a return to 191 for the company as it helped originally develop the building. Cousins relocated their headquarters to the building, signed a number of small tenants to subdivided space and in January 2008, signed an agreement with Deloitte to extend and expand the consulting firm's current lease from 100,000 s.f. to 260,000 s.f. 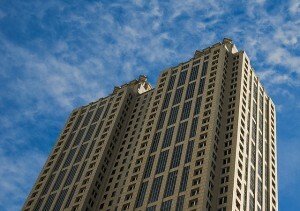 bringing the building back to 87% occupancy. 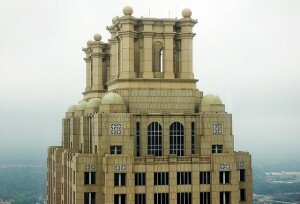 The building was originally proposed in July 1987 at 48 floors.